Taste, Power, Production and Disease resistance is the focus of everyone at Elite Seeds, which is why this seed bank can produce weed seeds of such incredible quality. From the moment a new idea manifests itself, this is a seed bank that ensures attention to detail at every step. From the parenting through to the growing technique, Elite seeds will try everything and anything to ensure the perfect environment for their seeds. Which means every seed you buy from the Original Seeds Store arrives in absolutely perfect condition. 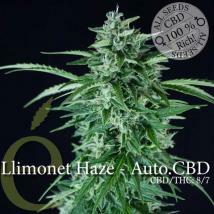 Focused only on feminized seeds at this seed bank, Elite seeds want to maximum productivity from every purchase you make. And with multi awards from events including the High Life Cup and Cannabis Champions Cup, they have the silverware to prove it. No, these aren't the cheapest feminised cannabis seeds you are going to find on our site, but when you want the very best like Banana Joint and Black Hole sometimes, you have to pay for it. 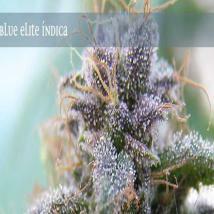 And with Elite's weed seeds, every penny you invest is going to reap rewards that you are going to enjoy. Which is why we think that no cultivator can be truly credible until they've got some Elite marijuana seeds in their growing room. 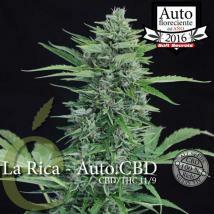 If your looking to grow cannabis for medicinal use then don´t leave this page without checking out Solodiol, one of the richest CBD strains available on the market with CBD percentages topping 20% and THC as low as 1% Elite Seeds compare this variety with a good non-alchoholic beer! You can buy Elite Seeds here at the seeds store in pick and mix style single seed packs, 3 or 7 seeds and multi bulk seed packs of up to 200. If you go for the straight 3 or 7 your seeds will arrive in their unique key ring style packaging. Yesterday I had an OMG moment my order sitting in a discrete pkg. in my hands! I expected 4-6 weeks, then low & behold Im saying OMG, and Im not an OMG person, in less than a month with a discrete package in my hand.